Albertsons Best Road Trip. Ever! Sweepstakes at Albertsons.com/BRE : Spin. Caption. Win A New Car ! Eligibility : To enter and be eligible to win, you need a valid email address, you must be at least eighteen (18) years of age or older at time of entry, you have to live within thirty (30) miles of an Albertsons and you must be a legal resident of one of Albertson’s Market States : Arkansas, Arizona, California, Colorado, Idaho, Louisiana, Montana, North Dakota, New Mexico, Nevada, Oregon, Texas, Utah, Washington, or Wyoming, excluding Florida. Entry period : Begins at 12:01 a.m. Mountain Time on Wednesday, August 6, 2014 and ends at 11:59 p.m. Mountain Time on Wednesday, September 3, 2014. 1) Visit Albertsons.com/BRE during the entry period as described above. 2) Look for the “Push to Start” button and click on it. 3) Complete the entry form by providing your First Name, Last Name, Phone Number, valid Email Address. Then, select your State, City, and nearest Albertsons Store. 4) “Spin” to receive four (4) product images. 6) Caption each of the four (4) product images with at least ten (10) characters including spaces, but not more than two hundred and fifty (250) characters. 7) Select a Conclusion and submit your entry. Entry Limit : There is no limit to the number of entries so you can enter as often as you want. Enter as much as you can to maximize your chances. Voting period : Begins at 12:01 a.m. Mountain Time on Wednesday, August 6, 2014 and ends at 11:59 p.m. Mountain Time on Wednesday, September 3, 2014. 1) Visit Albertsons.com/BRE during the voting period as described above. 2) Select your favorite “Best Road Trip. Ever!” entry from the leaderboard located at the bottom of the page. 3) Click the “Vote” button. Voting Limit : There is a limit of one (1) vote per person per day. 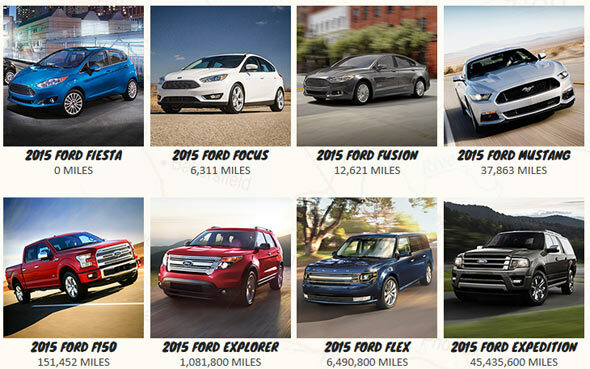 Prize : One Ford automobile with an estimated retail value of up to Forty-One Thousand U.S. Dollars ($41,000) but no less than Thirteen Thousand U.S. Dollars ($13,000). Prize milestones : Prize will increase in the following increments. More miles = better car!